There are many benefits to purchasing an older home—you'll get character, and could pay a lower price upfront. You may even see potential to renovate an older home into the modern, beautiful home of your dreams. Older structures may boast walls filled with history, but they also tend to have ancient wiring and electrical panels. The electrical systems in older homes often weren't designed to keep up with the amount of electricity typical homeowners consume today. Be sure that everything is up to code, and don't just assume that the previous owners updated things the way they were supposed to. Insulation on old wiring can start to wear and becomes a safety hazard. It's a smart idea to have an electrician inspect the building before you close on the purchase. Rewiring an entire home can be extremely expensive and will probably make that low purchase price a little less tempting. Take the time to bring in an expert to inspect the home's HVAC system, including any air conditioning or furnaces. Many older homes don't have any air conditioning systems in place, so consider if this is something that's important to you. If the home utilizes a furnace, make sure it's in safe and effective working condition and won't need to be replaced anytime soon. Consult a professional about any plans you have to bring in new heating/cooling units and which would work best in terms of upfront cost and long-term savings. You'll also want to survey the roof for any issues that may need repair. Are there loose shingles or leaks that'll need to be addressed immediately? Note the pitch of the roof and the types of materials used. A composite shingle roof will cost less to replace than a clay tile or slate roof. The pitch of the roof can also drive up costs—a roof that is particularly steep may be challenging to replace and repair. Always ask to test for lead paint in older homes. Exposure to lead can cause a long list of negative health effects and is particularly dangerous to children and pregnant women. Lead paint was banned in the U.S. in 1978, so if the home was built before then, there's a higher chance that lead paint was used. The older the home, the more likely lead paint is present—some 87 percent of homes built before 1940 contain lead-based paint. Knowing which materials were used to build plumbing for the home and connect it to the sewer will help you figure out if there are any potential issues. Assuming the original systems haven't been replaced, you can often look into the most common plumbing used for different decades depending on when your home was built. For example, in the 1950s, plumbing was often built using clay lines, which tend to corrode and crack. In the 1980s, many plumbing systems were built using polybutylene (PB) piping, which degrades at a rapid rate and can lead to burst pipes. Don't be afraid to turn to a professional for their opinion. No matter what the condition of an older home, plan for upgrades in the coming years. If there are no major issues that need your immediate attention, it's safe to assume there will be smaller repairs that come up as time goes on. Purchasing an older home can be an exciting and enticing opportunity, but it's important to understand exactly what you're buying. Do your due diligence and make sure to have the home inspected by an inspector who has experience with older houses. 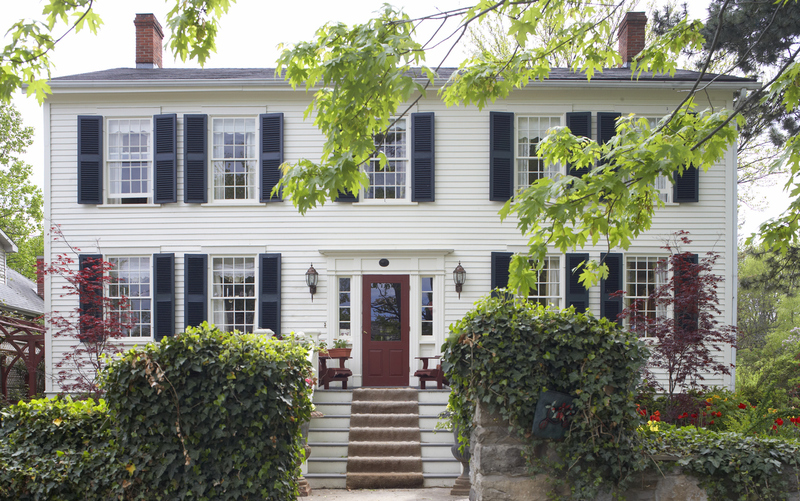 Carefully review all the facts and consider any hidden costs when purchasing an older home. Constantly spending money on repairs and home improvement projects can easily cost you more money than the purchase price of a newer home in the long run.